If there's one thing I envy with Korean Actresses and K-Pop stars, it's all about their eye makeup. I'm fond of looking their cute faces with their winged eyeliners, glittery eyes and sparkling tear liners. I love how these eye makeups make their eyes so gorgeous, big and bright. I also want to make my peepers look like them but I know it will be very hard for me since my makeup stash is small. I need to save money to buy those eye makeups and my last resort is an eyeliner for my water lines. I opt to buy this because I read in one blog that white, silver and grey eyeliner can also make the eye bigger and brighter if used in the water lines. 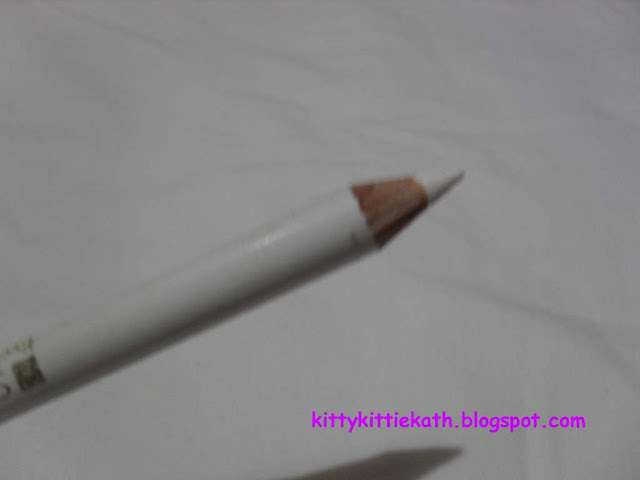 But the search for my very first eyeliner in white gave me feeling of dismay. I will just make a short review on this eyeliner pencil. Cute packaging- there are crystals around the case for that feminine touch. I consider this cheap since it costs below 100 pesos. Two products in one- there's an eyebrow brush on the other end of the eyeliner. 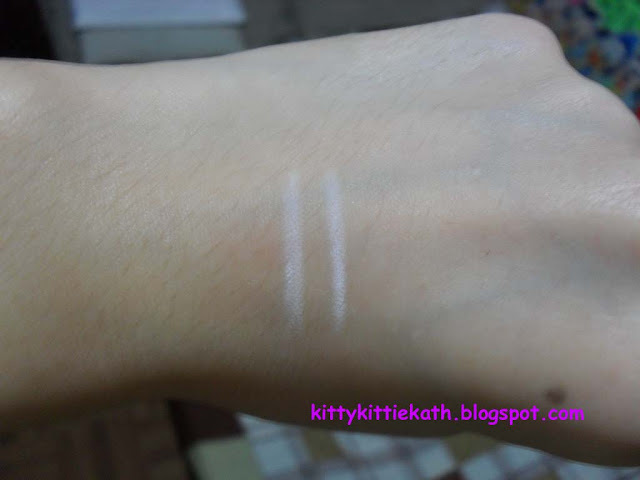 The color payoff is poor- I need to swatch it 5 times for the color to pop. It smudges on lash line. It hurts to apply on waterline, it irritates my eyes. I give this a 2/5 rating. What more to say? It's cheap so I guess you get your money's worth. 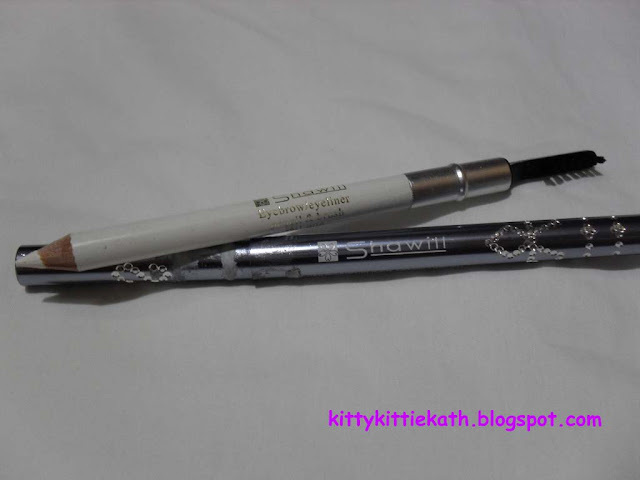 I think I'm on the hunt again for a good but affordable eyeliner in white, silver or beige. Can you recommend a good eyeliner that's creamy and glides easily?I highly appreciate your recommendations. Thanks a lot for sharing! So far, I like the white eyeliner from Essence and they have the pencil and auto pencil type for 99 and 129 respectively. They don't smudge on my underline. Same goes with Etude House variant. 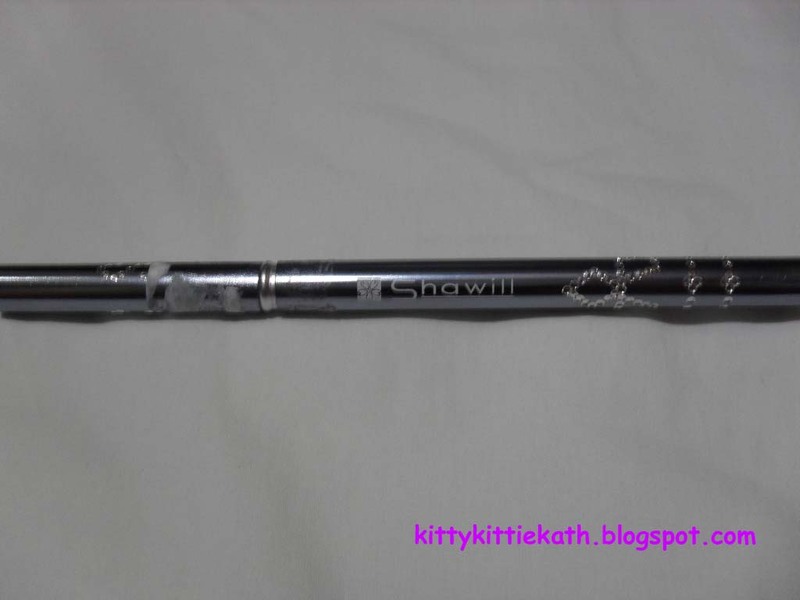 Shawill products are made in china. I do not recommend this brand. Thank you so much for airing your side here.